Your parents were both American citizens when you were born. One of your parents was a citizen and he or she lived in the U.S. at least five years before your birth. This may also apply if your father or your mother were serving in the Armed Forces when you were born. Your father was a citizen but your mother was not, and your father lived in the U.S. for at least five years before you arrived in this world. You were born abroad but one of your American parents brought you to the U.S. as a young child. 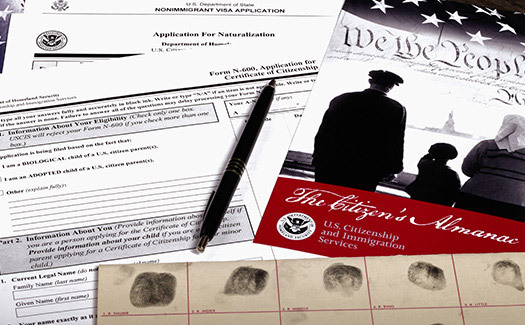 If you are declared admissible for immigration benefits, you can obtain citizenship. It is important to note that the situations above do not actually fall under immigration laws; they actually apply to the status of citizenship as a birthright, but this claim must be made before you turn 18. Once you turn 18, you may have to follow the process of admission, residency and naturalization. You will still receive preference as the son or daughter of an American citizen or naturalized immigrant. Due to the complex family dynamics of our modern world, some children of American citizens may have entered the country illegally. If this is your case, you are better off retaining a San Diego immigration attorney who can start off the process by securing your admissibility and walk you through the process of naturalization. If your citizen father or mother lives in the U.S., you are not likely to be deported or removed, but you may have to clear some legal hurdles to start the green card and naturalization process. Learn more about family law immigration from the trusted experts at KS Visa Law by visiting our website or calling (858) 874-0711 today.